Many agile teams practice regular retrospectives – meetings where they evaluate review recent progress, events, and challenges, gauge the team’s mood, and propose changes to the way they work. For distributed teams, the retrospective is especially important. Here are some tips for holding a retrospective with a remote team. A special meeting where the team gathers after completing an increment of work to inspect and adapt their methods and teamwork. For dispersed teams, retrospectives are essential. Because dispersed teams are so dependant on effective practices and the use of enabling tools to stay in sync, it is vital to take some time every few weeks to make sure that the practices and tools are working for everyone. The retrospective is the time to propose a switch to a new VoIP software stack that has less audio lag. It’s the time to propose a switch to holding standup meetings in Campfire instead of on the phone because the phone meetings are dragging on too long. It’s the venue where you discuss how disjoint schedules are causing delays in communication, and whether it might be time to institute a Core Hour. Use a conference tool that enables everyone’s face to be seen, like TokBox or Adobe Connect. Even if a large group of team members are all in the same building together, make sure everyone dials in, so that everyone is on equal footing. I like to use MindMeister for collecting notes and ideas. It enables everyone to contribute to a mind-map in real time, and makes it easy to start with disorganized thoughts and then group them into categories as trends emerge. If you are doing an exercise such as the ones in the above-referenced book where people in a physical meeting would be sticking dots to index cards, the participants can instead attach “+1” notes or smiley faces to the MindMeister nodes. Make sure you have a text chat backchannel. This could just be the MindMeister chat bar, or the Tokbox chat window (but make sure you designate which one!). When communicating over VoIP, it’s often hard to pipe up and be heard while someone else is talking. Having a backchannel enables you to bring your thoughts to the floor, and then the speaker or moderator can draw everyone’s attention to them. What about you? Does your dispersed team hold retrospectives?. 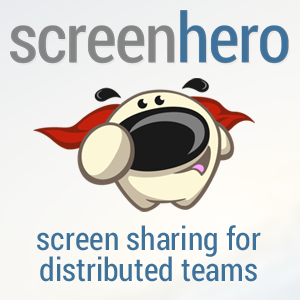 Do you have any special tricks for holding distributed retrospectives? Share your thoughts in the comments! We’re doing some of this on a current project, but things like video and mind mapping would really help out. If you try any of the suggestions I made, let me know how they work out!